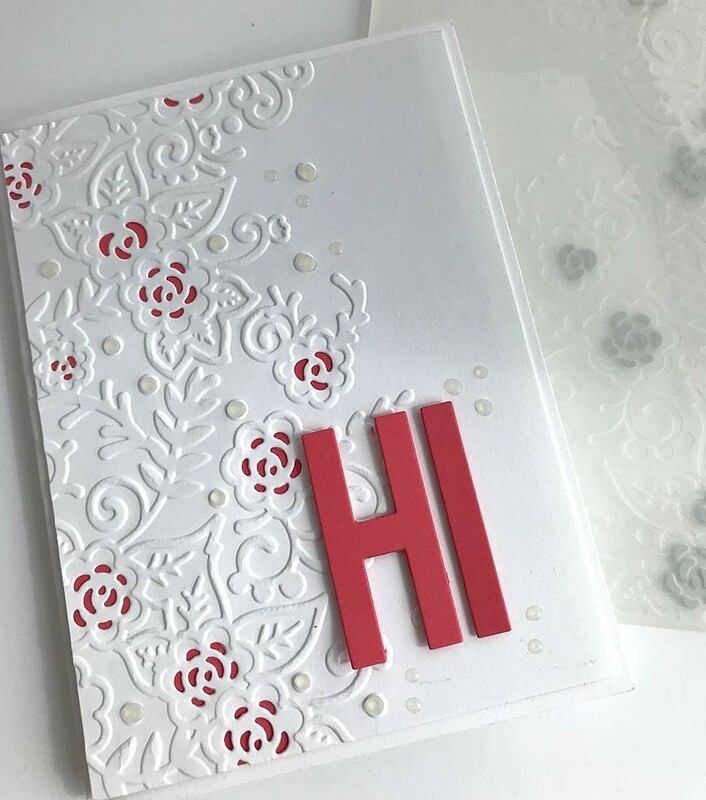 An embossing folder with etched dies embedded inside to cut and emboss in one pass. Everything is done for you! 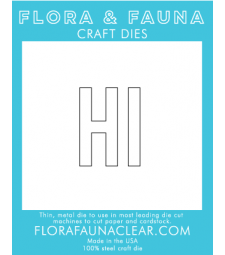 Fits an A2-sized (4.25x5.5 inch) card front. 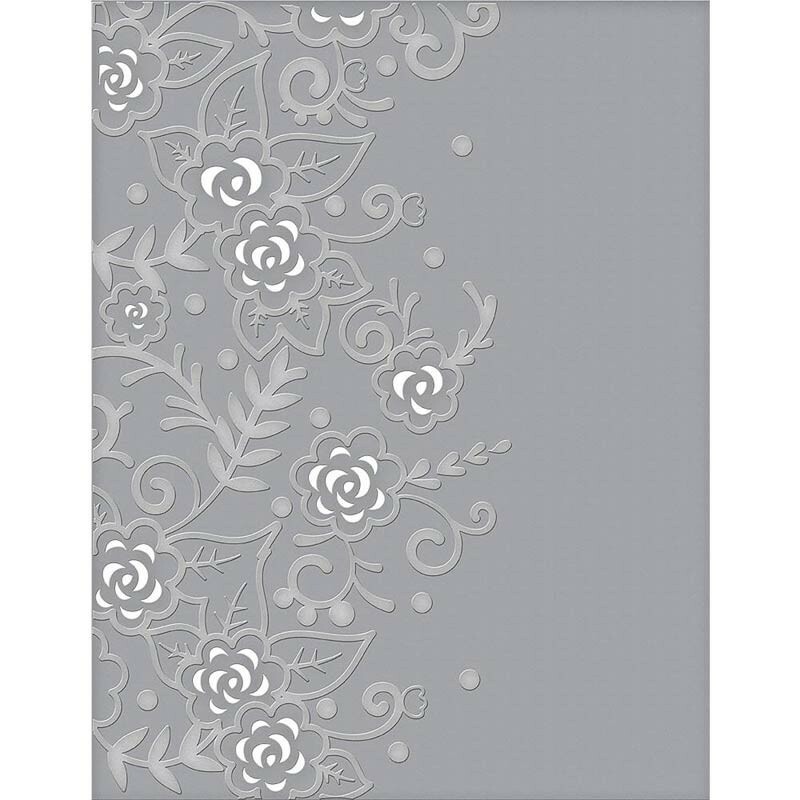 This package contains one 4.25x5.75 inch embossing folder. Imported.